Children are truly a blessing! Congratulations on exploring your options for the best possible birth of your new baby. I look forward to getting to know you and answer any questions you may have. I’m Darlene Dorries-Scrivner. I am a Licensed Midwife through Texas Department State Health Services. (formerly Texas Department of Health) and have had a private practice since 1992. I continued my education with EMT (Emergency Medical Technician) training in 1997. I remain current in Neonatal Resuscitation and CPR/First Aid and have taken many additional courses and continuing education courses including; Orthomolecular Nutrition, MTHFR and the Expectant Mother, Nutrition in the Childbearing Years, Herbs and Natural Medicine, Improving Perinatal Outcomes, Plus Size Pregnancy and many more. Jumana is a Certified Professional Midwife, Licensed in the state of Texas, she also holds a Bachelors Degree in Biomedical Engineering. 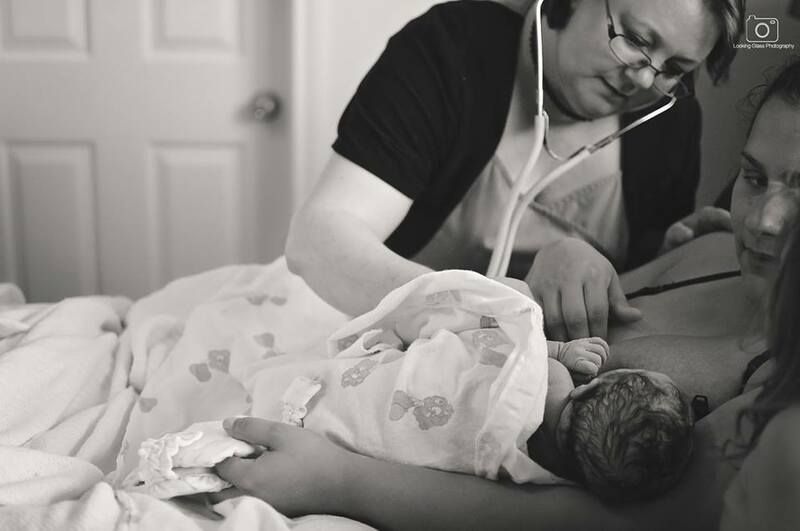 Jumana has been working with a high volume birth centre on the border of El Paso and has attended more than 350 births and delivered well over 250 babies in her short career of over 2 years as a Licensed Midwife. She has been a NARM Preceptor for over a year and has successfully help train over 25 students. Jumana was initiated into the art of Midwifery by the pioneer grandmothers of midwifery Ina May Gaskin and Pamela Hunt back in the fall of 2011 at the Farm. After which she attended the well known school Maternidad La Luz in El Paso, Texas and served the women coming across the border from Mexico. She also attended a linguistic school to learn Spanish in Guatemala so that she could offer these women care in their own mother tongue. 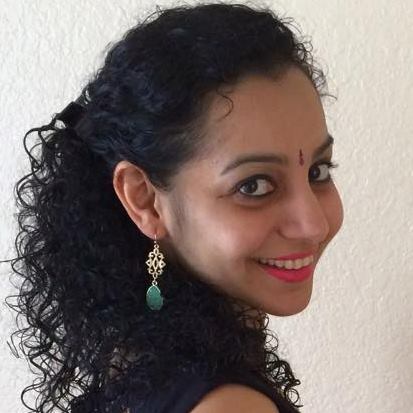 Jumana is well versed in many languages and traces her roots and culture form the beautiful and versatile land of India. 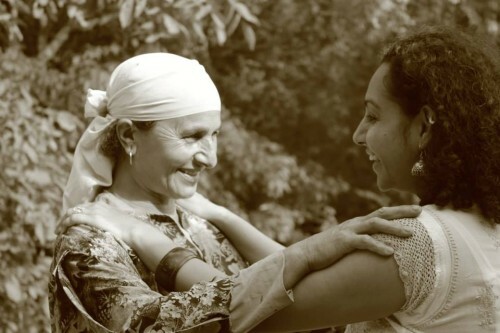 Jumana comes from a lineage of Granny Midwives and proudly carries the legacy and prayer of her Great Grand mother Medina who served more than a hundred and fifty years ago as a medicine woman and a Dai (Midwife in India). Jumana is current in her CPR and NNR and IV certification and has successfully performed neonatal resuscitations. We welcome her in the Bio Birth family and thank her from bringing her multicultural and ancestral wisdom to our midwifery practice. (Q) Where do I go for prenatal care if I want to have a homebirth? (A) Midwives provide excellent prenatal care meeting all your prenatal care needs throughout your pregnancy. Check-ups are once a month until you reach 28 weeks. Then check-ups will increase to every two weeks. At 36 weeks you will be seen every week until your baby arrives. You will have complete lab work, and thorough prenatal screening throughout your pregnancy. At each visit we will discuss diet, nutrition, and exercise. If a problem should arise you can get a referral to a doctor to determine if homebirth is still a safe option for you. (Q) At what time in my pregnancy should I begin care with a midwife? (A) As soon as you are trying to get pregnant you can make an appointment for a consultation. We can go over nutrition, exercise and lifestyle changes that can help support a healthy pregnancy. You can also choose to have a MicroNutrient Panel done to check the status of all your nutritional needs. Once you become pregnant it’s important to make that first appointment to begin prenatal care right away. Some midwives fill their schedule and you may not get in with the midwife you choose. At BioBirth we may only take 4-6 births per month if we have out of town births. (Q) Can I have homebirth in an apartment? (A) An apartment is usually more than an adequate place to give birth. Hot water, heat and electricity are usually basic necessities for homebirth but we have done births without all the basics. (Q) I have maternity coverage on my insurance plan, will insurance cover midwifery care? (A) In most situations the answer is yes. More and more companies are recognizing homebirth as a reasonable and cost effective option. I have a National Provider Number and have filed claims with most insurance companies. At your initial consultation or prenatal check-up we can assess your insurance plan. I also use a medical billing company for my insurance claims, they will also be able to answer any difficult questions. (Q) I don’t have insurance can I still have a homebirth? (A) Absolutely! In addition to accepting insurance I have other payment plan options available. (Q) My insurance does not cover maternity what do I do now? (A) I have payment plan options available for those who do not have maternity coverage, or those who have Blue Cross Blue Shield or Medicaid. Please see our FAQ section for most Frequently Asked Questions. If you don’t see your question answered, please e-mail me with your specific question. You may also call us at 713-367-8623.